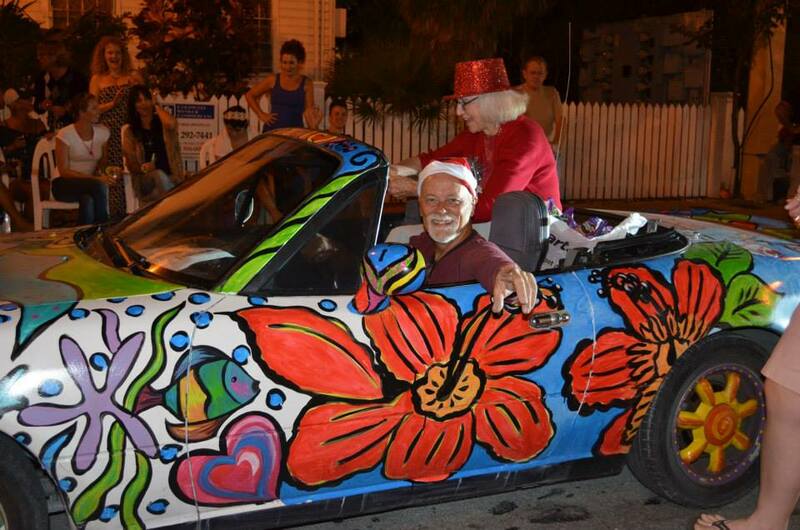 Somebody said there are more authors per square foot in Key West than any place else on the planet. Here is some evidence to support that assertion. 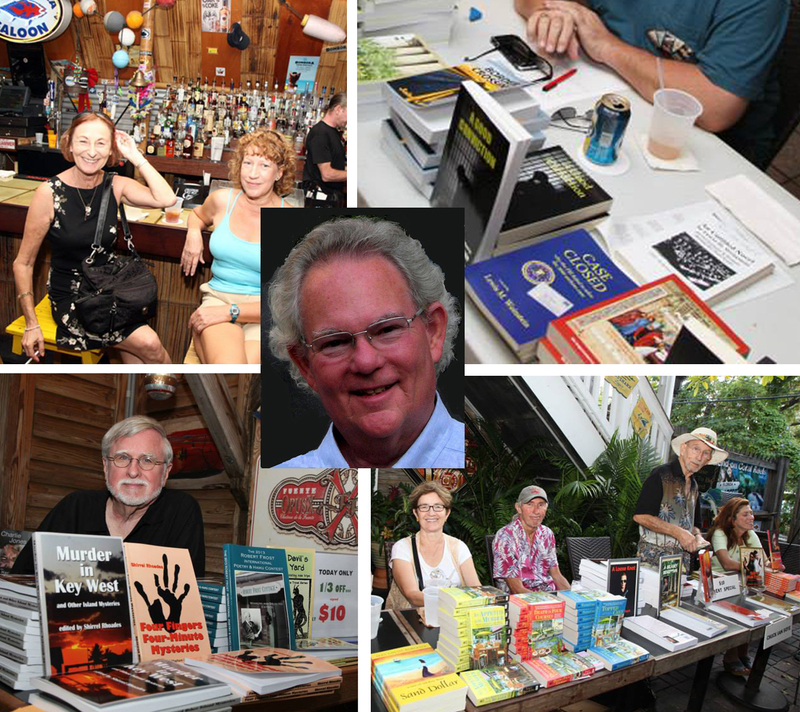 Last Saturday morning The Studios of Key West (TSKW) had a combined craft and local author festival. Also on display were fantastic rooster creations by Key West artists. Later that afternoon, Sherril Rhoades’ Absolutely Amazing E-books … (http://www.absolutelyamazingebooks.com/) … sponsored a book signing for 35 authors at the Smokin’ Tuna Saloon. Photos by Carol Tedesco. Just a normal day in Key West. Oh, yes, there was also the Holiday Parade that night, featuring dozens of floats that took over two hours to ride down Truman and across Duval. I carried the ACLU banner and Pat gave out candy to the kids lining the route. Here was our “official” car driven (and owned) by Michael Shields. This entry was posted on December 12, 2013 at 11:13 am	and is filed under *** appearances & news. You can follow any responses to this entry through the RSS 2.0 feed. You can skip to the end and leave a response. Pinging is currently not allowed.